The Pemigewasset River is a natural travel route, and biking is no exception. The Pemi is typically divided up into north and south, each offering different forms of the same activities. Although the northern Pemi may take longer travel time to reach, it stretches over a wider area and is great for a long day or weekend trip. The southern Pemi is closer to population centers and is great for a few hours to a full day of activities. Mountain biking aka off-road biking is very popular in New Hampshire, with several biking clubs that help build and maintain many biking trails for the public to use. The northern Pemi starts building up in Franconia Notch, and there are many trails along or near the Pemigewasset River. 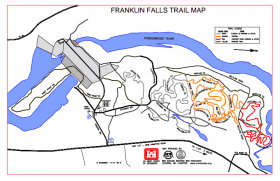 Many of these trails are useful for biking, including some paved trails for beginners or a nice leisurely ride through the tranquil woods of New Hampshire. The more popular biking trails are the Franconia Notch Bicycle Path (easy), Lincoln Woods Trail (medium) and the Cherry Mountain Loop (hard). 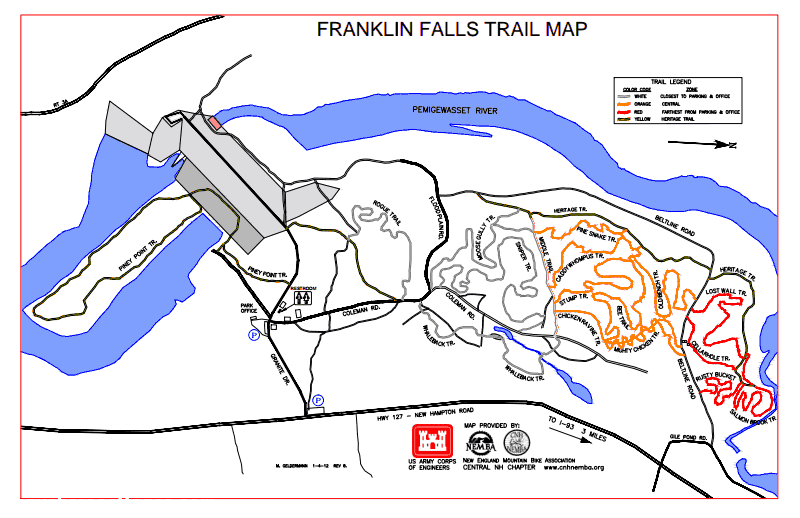 The southern Pemi ends near the popular Franklin Falls trail system. Biking is allowed on any of the trails among the 3900 acres. Many of the trails were built and maintained by the local branch of NEMBA (New England Mountain Bike Association) so thanks to them. Many biking reviews mention this trail system as mostly easy track and great for beginner to intermediate bikers. Don’t miss the Mighty Chicken, it’s a serious curvy trail down a ravine and is lots of fun. Pemigewasset River Biking article by Pemi Shore Cottages.